Knife Rights’ Louisiana Switchblade Ban Repeal Bill Passes Senate – CALL/EMAIL Gov. Edwards TODAY! 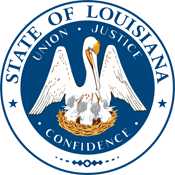 Knife Rights’ bill to repeal Louisiana’s antiquated ban on the possession of switchblade knives, HB 892, passed in the Senate on Wednesday, May 9, 2018, by a vote of 21-11, sending the bill to Governor Edwards! We’d like to acknowledge Representative Mark Wright for his sponsorship and Senator Bodi White for shepherding the bill through the Senate. Click here to EMAIL Governor Edwards using Knife Rights Legislative Action Center. Click here to PHONE Governor Edwards using Knife Rights Legislative Action Center. HB 892 repeals the total ban on switchblade knives in Louisiana and allows for the possession of a switchblade knife provided it is not “intentionally concealed on one’s person.” That provision was necessary to gain the neutrality of the Sheriffs and the State Police. Manufacture and sale of automatic knives would also become legal. Allowing for the concealed carry of a switchblade in Louisiana is complicated because it would require a significant change to Louisiana’s concealed carry law. Knife Rights will continue to look for opportunities to fix this aspect of the law in the future. Knife Rights’ record of 28 bills repealing knife bans at the state and local levels in 20 states in the past 8 years is unrivaled. With your support, Knife Rights is rewriting knife law in America™. PLEASE DONATE TODAY to Support Knife Rights and you could WIN! ONLY 5 Days left in Early Bird Bonus!